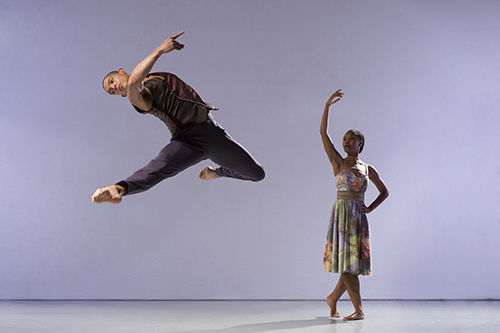 This triple bill features two world premieres: a light-hearted work by Scottish Ballet’s choreographer-in-residence, Sophie Laplane, and Ingoma (Song) by company dancer Mthuthuzeli November which imagines the struggles of black South African miners and their families in 1946, through a fusion of ballet, African dance and singing. Martin Lawrance’s intimate duet, Pendulum, completes the programme. 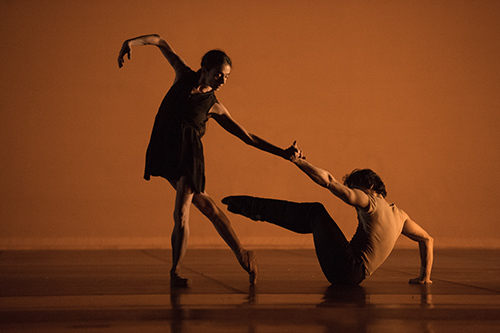 Richard Alston Dance Company presents three contrasting works – Alston’s popular Proverb, set to the vocals of Steve Reich, and the joyous Brahms Hungarian, performed with live accompaniment from pianist Jason Ridgway. A new work by the company’s Associate Choreographer Martin Lawrance completes the programme – Detour is a driving, quick-paced septet set to a pulsing score by Michael Gordon. The latest work by Ultima Vez and Wim Vandekeybus sees performers journey to a distant future where a turning point in the history of mankind has been reached and a devastating force is destroying all life on earth. Mary Shelley’s gothic masterpiece is the subject of Liam Scarlett’s first full-length ballet, revived here in a co-production by The Royal Ballet and San Francisco Ballet. Scarlett’s highly expressive choreography and dark waltzes are enhanced by chilling designs by John Macfarlane, to bring the haunting tale to life. 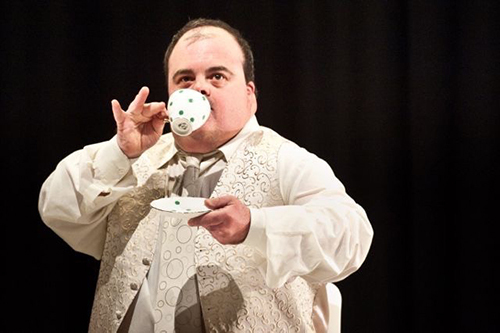 This year marks Corali’s 30th anniversary as a leader in dance created by artists with a learning disability. This informal discussion will appeal to creative practitioners, educators, and arts organisations alike – a chance to talk to Corali dancers about how they make their performance work, as they share experiences of their collaborative creative process, and discuss the future of arts and disability. See the company perform new work Technicolour Everyday in a programme with Thick & Tight on 30 March. For one night only, female performance art collective Woman SRSLY take over The Place to present a programme of unique and challenging performance by socialised female and female identified artists, in an evening that spans art, film, dance, theatre, cabaret and all-round femme power. 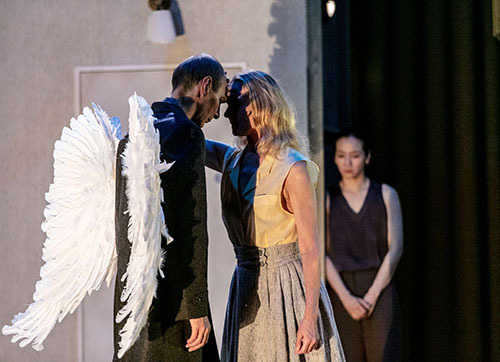 Referencing contemporary science and medicine, the innovative Polish Dance Theatre present a modern reflection on the idea of ritual, in a narrative which looks at the body threatened with annihilation. 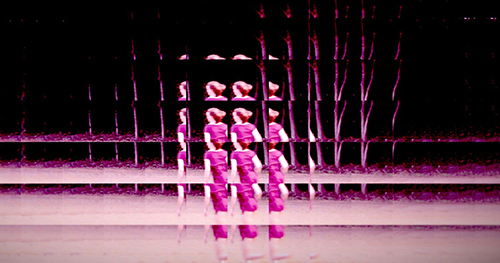 A two-day festival of dance film curated by postgraduate students of London School of Contemporary Dance’s MA in Screendance, the only programme of its kind. The programme takes in five works from around the world, from early 20th century pioneers to urban films exploring screendance in contemporary culture. This world premiere from Russell Maliphant is inspired by the ancient Greek myth of Theseus and the Minotaur, and the symbolic significance of the thread which helped to guide Theseus out of the labyrinth after slaying the beast. 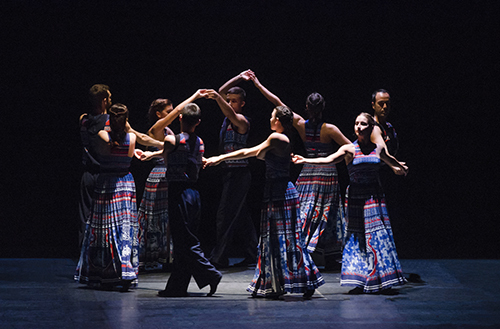 The choreography explores changing forms of traditional Greek dance, performed by a company of 18 dancers. Composer Vangelis (Blade Runner, Chariots of Fire) provides explosive electronic music, with lighting design by Michael Hulls and costumes by fashion designer Mary Katrantzou. Cult Japanese choreographer Saburo Teshigawara returns to London with the UK premiere of his hypnotic new work – a danced telling of Dostoevsky’s sublime 19th century novel, The Idiot. Intricately sculpted and fluid, Teshigawara’s thoughtful retelling is created and performed with his longstanding collaborator Rihoko Sato. Together they embody the principal characters of the novel, revealing the movement inside Dostoevsky’s words. Cathy Marston choreographs this intriguing new narrative work for Northern Ballet, which focuses on the life of Queen Victoria, her grief following Albert’s death, and her relationship with her daughter Beatrice, who tried to rewrite history. One Dance UK is looking for choreographers to join its Young Creatives programme. Launched in 2008, the Young Creatives programme is delivered in partnership with One Dance UK, the Royal Opera House and Rambert. It is for young people between the ages of 15 and 19, and up to the age of 25 if disabled, who are interested in exploring their choreographic creativity. The programme hopes to attract candidates who are always brimming with new ideas and would value some help and guidance developing these into dance. Successful applicants will have the opportunity to develop their choreographic idea supported by a creative mentor before presenting it at the Linbury Theatre at the Royal Opera House. The programme will culminate with a special performance of Young Creatives’ work as part of the U.Dance National Youth Dance Festival at Southbank Centre on 20 and 21 July 2019. The Critics’ Circle National Dance Awards for 2018 were presented yesterday at a ceremony in London’s Barbican, hosted by Mbulelo Ndabeni and Cira Robinson. Mark Baldwin OBE was awarded the De Valois Award for Outstanding Achievement in recognition of his career, to date, as a dancer and choreographer, including his time as Resident Choreographer at Scottish Ballet and his sixteen years as Artistic Director of Rambert. 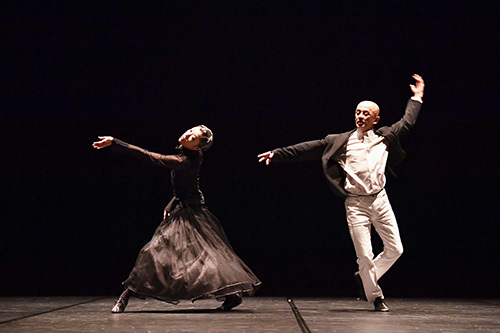 Akram Khan won a record eighth National Dance Award for his solo performance in XENOS; and there was a first victory for a flamenco artist, Rocío Molina (pictured) who won Outstanding Female Modern Performance; and for Taiwan, with Cloud Gate Dance Theatre of Taiwan winning the Stef Stefanou Award for Outstanding Company. 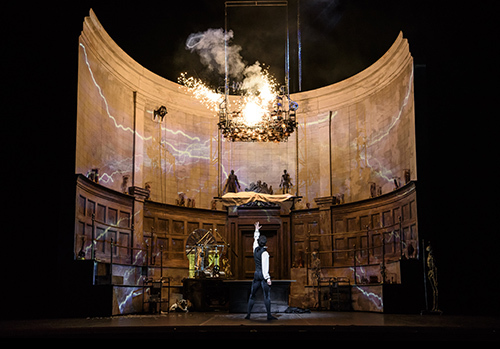 Lighting designer Lucy Carter, known for her collaborations with Wayne McGregor, was awarded the inaugural Outstanding Creative Contribution Award. 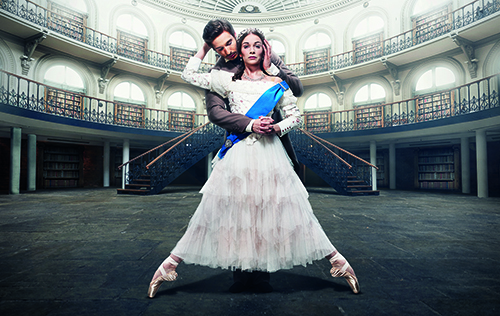 Ballet remained the most popular dance form amongst the critics, taking a total of six awards including the two Best Dancer awards, won by The Royal Ballet’s Vadim Muntagirov and Marianela Nuñez; while Alina Cojocaru of English National Ballet won the Outstanding Female Classical Performance Award for the second successive year. 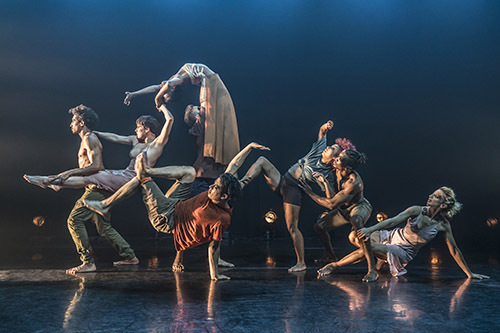 This annual extravaganza from Sadler’s Wells is the perfect opportunity to dip in to different styles of dance – from Indian classical dance to hip hop, ballet to contemporary, flamenco and more. This year’s line-up includes Mavin Khoo (pictured), BirdGang, Semperoper Ballett, Rambert2, Richard Alston Dance Company, Uchenna Dance and Patricia Guerrero, and the fun doesn’t stop on the stage – there are plenty of opportunities to take part, with front of house activities, live DJs and more. The latest offering from all-female performance group Figs in Wigs is a choreographic exercise in the comings and goings of life on the stage. Expect a sharp, funny and irreverent take on the absurdity of theatrical traditions, through the medium of dance. Pina Bausch’s pioneering company returns to Sadler’s Wells with two UK premieres – the first full-length works to be created for the company by guest choreographers. Dimitris Papaioannou works his dream-like magic on Since She, while choreographer, director and playwright Alan Lucien Øyen blends dance, theatre and text to reflect the human experience in his new piece, Bon Voyage, Bob. Carlos Acosta’s charming take on the much-loved ballet classic – created for The Royal Ballet in 2013 – returns to Covent Garden with the sunshine of Spain, on-stage musicians, and vibrant designs from Tim Hatley. 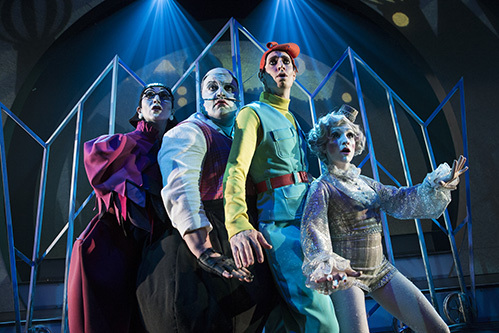 This time-travelling circus show – a UK premiere – marks the 25th anniversary of Canadian contemporary circus crew Cirque Éloize. The action takes place in a grand art deco hotel, where tourists and travellers are whisked on a journey from the 1920s to 2040, with breath-taking acrobatics and glamorous costumes. The Place’s annual festival of new choreography continues. 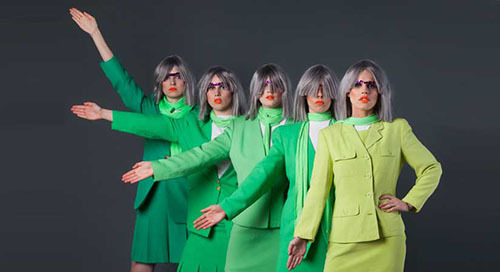 February highlights include Hazel Lam’s solo piece, Lighthouse, exploring feminine physicality; there won’t be glitter by fraser and friends, exploring the future possibility of a queer utopia; and Wilhelmina Ojanen’s group piece Common Ground, a poetic meditation on the importance of trust (pictured). 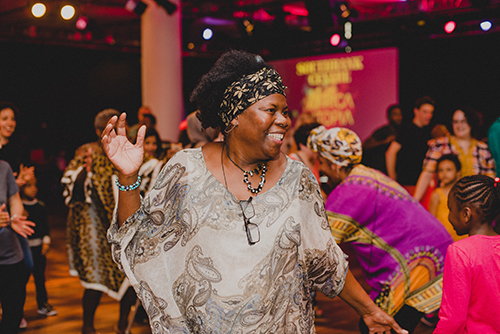 Learn new dance skills at the Southbank Centre’s free drop-in dance social. A DJ and performers guide you around the dancefloor, taking in everything from rhumba to cha-cha-cha, tango to quick-step, waltz to foxtrot. Choreographic duo Rashaun Mitchell and Silas Riener collaborate with video artist Charles Atlas on this psychedelic dance show in two parts, inspired by sci fi and time travel. Using 3D film and live performance captured by multiple cameras onstage, Tesseract is part of the Barbican’s Life Rewired season exploring the relationship between technology and the human body. Candoco Dance Company are teaming up with fashion site ASOS to deliver a residential dance training intensive for young dancers in summer 2019. With ASOS’ assistance, this partnership will enable Candoco to offer dancers aged 18-30 an opportunity to develop their physical skills and creative potential in an inclusive environment, free of charge. The training intensive will run for two weeks and give disabled and non-disabled dancers from diverse backgrounds a route into the dance profession, by working with Candoco’s team of professional dancers and leading choreographers. The news follows Candoco’s recent appearance as the first contemporary dance company to guest on Strictly Come Dancing, which was seen by millions of viewers around the world. Building on the company’s well-established learning and development programme and ASOS’s reach with 20-somethings, ASOS and Candoco hope to support creative ambition in disabled and non-disabled young people. The Royal Academy of Dance’s new state of the art headquarters at Avanton: Battersea started to take shape last week at an event to celebrate the building’s topping out. Royal Academy of Dance students presented an exclusive dance piece, choreographed by the Academy’s Artistic Director, Gerard Charles for special guest and President, Dame Darcey Bussell, to mark the construction milestone. The building will be completed in 2020 to coincide with the Academy’s centenary. The new 60,000 sq.ft building will almost double the footprint of the Academy, to help it meet increasing demand for dance classes and workshops for people of all ages and abilities. The fully accessible new headquarters will include eight full-size dance studios, a performance theatre (178 capacity), a library and archive which will house and display many of its original costume and dance artefacts, and a new retail space and café. Designed by Patel Taylor, the development will also provide 299 apartments and communal landscaped gardens. A bold design approach comprises three buildings on a single podium, the architectural form of which has been inspired by the movement of dance. The interior architecture has been designed by Takero Shimazaki Architects. Sadler’s Wells and Universal Music UK today announced a new dance production by Sadler’s Wells Associate Artist Kate Prince, set to the music of one of the world’s most prolific music artists, Sting. Message In A Bottle receives its world premiere at Sadler’s Wells’ West End theatre, The Peacock, from Thursday 6 February – Saturday 21 March 2020, followed by a UK and international tour. The piece combines original lyrical hip hop dance and music in an uplifting story of humanity and hope. In Message In A Bottle, a village alive with joyous celebrations is suddenly under siege. Determined and daring, three parted siblings step out on their own extraordinary adventures. Songs include Every Breath You Take, Roxanne, Every Little Thing She Does Is Magic, Walking On The Moon, Englishman in New York, Shape of My Heart and Fields of Gold. The cast features dancers from ZooNation: The Kate Prince Company. Kate Prince is a triple Olivier Award-nominated choreographer, and Artistic Director of ZooNation: The Kate Prince Company, which she founded in 2002. She became an Associate Artist at Sadler’s Wells in 2010, where ZooNation is also a Resident Company, and an Associate Artist at the Old Vic in 2015. ZooNation productions include: SYLVIA (Old Vic), Into the Hoods (West End), Some Like it Hip Hop and Into the Hoods: Remixed at The Peacock. Prince’s other theatre work includes Everybody’s Talking About Jamie (Sheffield Crucible & West End, nominated for Olivier Award for Best Theatre Choreographer); Ballyturk (National Theatre); Shoes (Sadler’s Wells); I Can’t Sing: the X-Factor Musical (Palladium) and It’s A Mad World my Masters (RSC). Her TV credits include work for Strictly Come Dancing, So You Think You Can Dance, The Royal Variety Show and Top of the Pops. Tickets for Message In A Bottle are on public sale from Monday 25 February 2019 via Sadler’s Wells. The UK’s biggest annual showcase for new choreography returns to The Place with 81 companies testing the limits of dance and performance. The programme promises a refreshing dose of bold ideas and movement, with weird and the wonderful offerings from some of the brightest emerging talent in dance. Highlights in January include Lewis Cooke & Lloyd Lovell’s Innercide which tests our physical and mental states with a unique approach involving Lotus Biscoff Spread; YDance’s Soul which deals with suicide by bringing traditional Korean concepts together with contemporary dance; Rowena Gander’s Object (Auto) Biography which challenges preconceived notions of pole-dancing; Leave me one by Emily Robinson Dance, inspired by the psychological phenomenon of imposer syndrome; She Holds Me Up by Willow Vidal-Hall, which explores shared female experiences and unfaltering female bonds, and Fawn by Lizzie J Klotz (pictured) which considers the act of pleasing as an instinctive response to fear. Think you know mime? Think again. The capital’s longest-established theatre season is back, with a programme that spans the full, rich spectrum of contemporary visual performance. 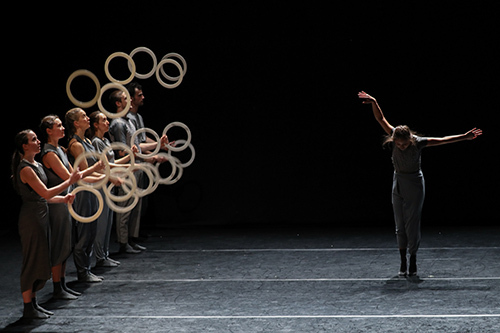 Highlights include Gandini Juggling and Alexander Whitley’s kaleidoscopic juggling-meets-contemporary dance show Spring at Sadler’s Wells (pictured); Gecko’s The Wedding at the Barbican, which questions the union between state and the individual; and a visit from Olivier Award-winning Belgian company Peeping Tom who explore the realm between fantasy and reality in Father (Vader), a surprising portrait of ageing. 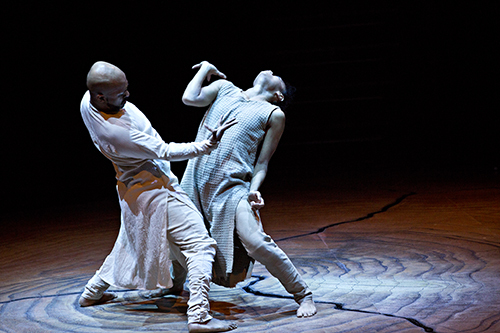 Following the buzz of XENOS, his final full-length solo show performed at Sadler’s Wells last year, Akram Khan returns to the Roundhouse to give his last ever performance of the epic and theatrical Until the Lions. Adapted from the award-winning book by Karthika Naïr, it tells the story of Amba, one of the great, unsung heroines of the epic Sanskrit poem, the Mahabharata, using classical Indian kathak movement blended with contemporary dance. Hosted by Jonzi D, Back to the Lab showcases some of the best choreographers in the hip hop dance theatre scene. This year’s resident choreographers are Joshua Nash, Ben Ajose-Cutting, Nicole McDowell and Hector Plaza & Agnés Sales Martín. Following two weeks of intensive training and mentorship from the likes of Jonathan Burrows, Jonzi D, Ivan Blackstock and Anthony Ekundayo-Lennon, each artist will present a brand new work in front of a live audience, who in turn can have their say in shaping and refining the works in progress – audience members are encouraged to give feedback directly to the artists afterwards. World-renowned ballerina Alessandra Ferri and American Ballet Theater Principal Herman Cornejo are joined by pianist Bruce Levingston in a programme exploring the intimate connection between music and dance. Newly-commissioned choreography by Russell Maliphant, Demis Volpi, Fang-Yi Sheu, Herman Cornejo and Wayne McGregor features, with the music of Ligeti, Mozart, Satie, J.S. Bach and Philip Glass. Tango stars German Cornejo and Gisela Galeassi lead this explosive journey through the history of authentic Argentine tango as one of five couples showcasing the beloved dance form in this award-winning show. Live music comes from the Tango Fuego Quartet. The biggest annual showcase for new choreography in the UK returns to The Place for its 30th year. Resolution offers a platform for emerging artists to present their work on an established London stage. Between 11 January – 23 February, 81 companies will test the limits of dance and performance through bold ideas and movement. Over the years, the festival has been a starting point for choreographers such as Luca Silvestrini (Protein), Wayne McGregor, Katie Prince (Zoonation), Frauke Requardt and Drew McOnie. With an uncompromising attitude of experimentation, this year’s choreographers draw on diverse performance styles, including circus, contemporary, hip hop, acrobatics and spoken word, to comment and explore themes of gender, sexuality, mental health, technology, immigration, relationships, conflict and artistry. Willow Vidal-Hall’s She Holds Me Up (pictured) looks at the constant negotiation of consent, and unfaltering female bonds. Running alongside the performance strand and continuing the theme of talent development, Resolution Review is an initiative giving aspiring dance writers, selected though an open application process, the chance to hone their skills by working alongside established writers including Graham Watts, Sanjoy Roy, Natasha Tripney and Josephine Leask. Photo: She Holds Me Up by Willow Vidal-Hall. Photo by Lucy Dawson. The classic festive fairytale gets a dance makeover courtesy of Uchenna Dance, who transport the action to a big city and weave House, Waacking and Vogue with African and Contemporary Dance to create an entertaining production for ages 5+. 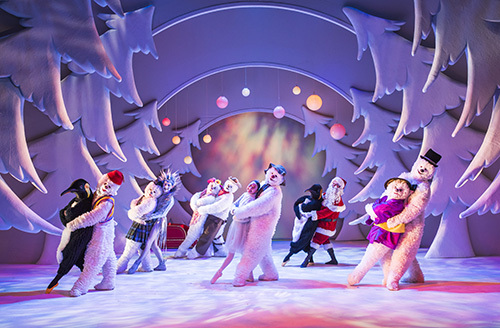 This family favourite – a stage adaptation of the Raymond Briggs picture book – is brought to life by Birmingham Repertory Theatre with a heart-warming mix of dance, spectacle, storytelling and live music. 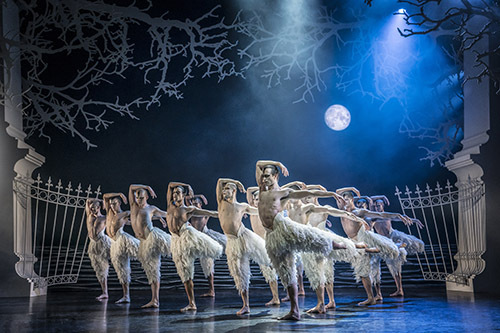 Thrilling, audacious and emotive, Matthew Bourne’s iconic interpretation of Swan Lake is best known for replacing the female corps-de-ballet with a menacing male ensemble. The Royal Ballet’s newest Principal, Matthew Ball, makes his New Adventures debut in the role of ‘The Swan’, as does Will Bozier and Max Westwell. This musical from Australia’s Windmill Theatre Company promises theatrical spectacle, rocking music, colourful costumes and lots of silliness. Cabaret singer Paul Capsis stars in this UK premiere. 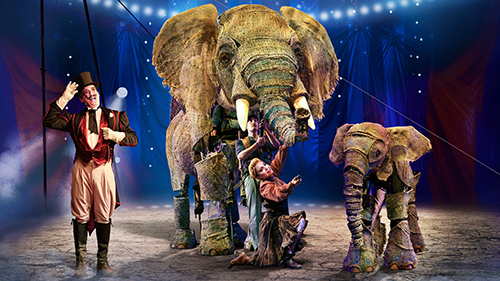 Acrobats, contortionists, jugglers, trapeze artists and the award-winning puppeteers from War Horse recreate the Golden Age of circus in this turn of the century circus spectacular. 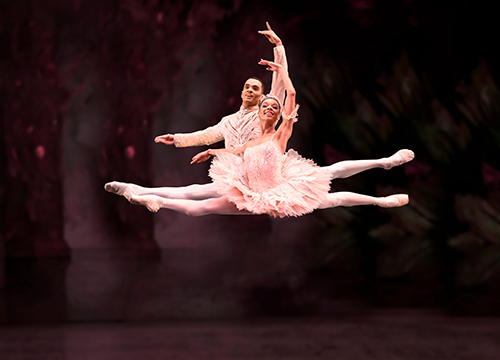 There are plenty of opportunities to see this timeless ballet in the capital this year. The largest-scale production comes from Birmingham Royal Ballet at the Royal Albert Hall (pictured) with the London Philharmonic Orchestra playing Tchaikovsky’s famous score, while productions by The Royal Ballet and English National Ballet are also sure to delight. 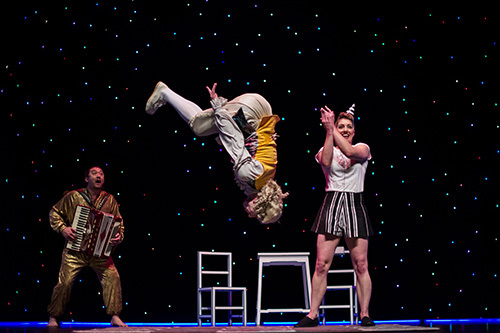 An accessible introduction to circus and classical music for younger audiences from Australian company Circa, who combine Mozart’s music with daredevil stunts. This triple bill from The Royal Ballet mixes the serious with the comically absurd. Frederick Ashton’s Les Patineurs is an inventive take on ice-skating, Kenneth MacMillan’s evocative ballet Winter Dreams is based on Chekhov’s The Three Sisters, while The Concert (pictured) choreographed by Jerome Robbins views audience behaviour through a comedic lens. The country’s flagship company for young dancers, National Youth Dance Company (NYDC), has selected its seventh intake of members from 26 towns, cities and villages across England. The new cohort joins Guest Artistic Director Botis Seva to work on a new piece specially created for NYDC titled MADHEAD, which will tour the UK in 2019. 18 performance workshops took place across the country during the summer to select 28 new members for the 2018-19 intake. Consisting of 19 female and nine male dancers aged 15 – 24, the new members join the ten dancers returning from last year to form a company of 38. 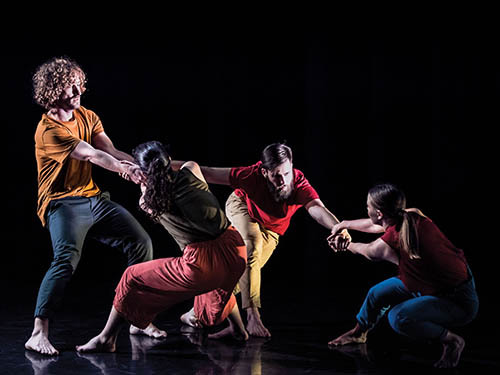 Under the direction of Guest Artistic Director, Botis Seva, the company – which is run by Sadler’s Wells – premieres MADHEAD at Dance East in Ipswich on Saturday 20 April 2019, followed by a UK tour to be announced. The new commission fuses contemporary dance, physical theatre and hip hop. 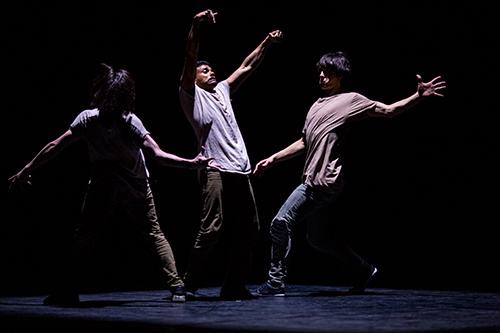 Botis Seva’s appointment follows his recent highly acclaimed piece, BLKDOG, which formed part of the Sadler’s Wells’ 20th anniversary commission, Reckonings, in October 2018. He takes over from last year’s Guest Artistic Director and Sadler’s Wells Associate Artist Sharon Eyal whose production with NYDC, Used To Be Blonde, premiered at Sadler’s Wells and toured last year. During their time with the company, NYDC dancers are offered a unique insight into the dance profession, living and working closely together as a company, alongside NYDC staff and the artistic team. The year-long experience in the company provides members with the necessary skills and techniques to find career opportunities and raise aspirations, self-esteem and confidence. The dancers are mentored during four intensive residencies in school holidays to create and rehearse a new piece. Entering its seventh year, NYDC has, since its inception, established a reputation for producing high-quality productions by leading choreographers, Sharon Eyal (2017-18), Damien Jalet (2016-17), Michael Keegan-Dolan (2015-16), Sidi Larbi Cherkaoui (2014-15), Akram Khan (2013-14) and Jasmin Vardimon (2012-13). NYDC has a track record of putting young people on paths to successful dance careers, with over 80% of all former NYDC dancers now either in further dance studies, in vocational training or working professionally. Graduates from NYDC have gone on to dance in Michael Keegan-Dolan’s Teac Damsa, Hofesh II, BalletBoyz, Matthew Bourne’s New Adventures, Cullberg Ballet, Ultima Vez, Russell Maliphant Company, Rambert2 and the Jasmin Vardimon Company. The winners of the first ever dance sector-wide awards were announced on Saturday 24 November at the One Dance UK Awards ceremony at Leeds Beckett university. One Dance UK hosted shortlisted nominees, sponsors, supporters and leading lights from the dance sector for an evening of celebration – a moment where the entire sector came together to applaud the talented professionals and practitioners working in dance today. The One Dance UK Awards 2019 categories will be announced in early 2019.